President Donald Trump wants to end asylum for Central Americans to keep his campaign promise of halting immigration along the southwest US border. Yet that goal runs afoul of US immigration law, which allows people to enter the United States to seek asylum if they are at a US port of entry or already in the country. Frustrated by the law, the president has turned to his Cabinet and advisers to find him ways around it. Attorney General Jeff Sessions and other members of the Trump administration are now manoeuvring to do just that. 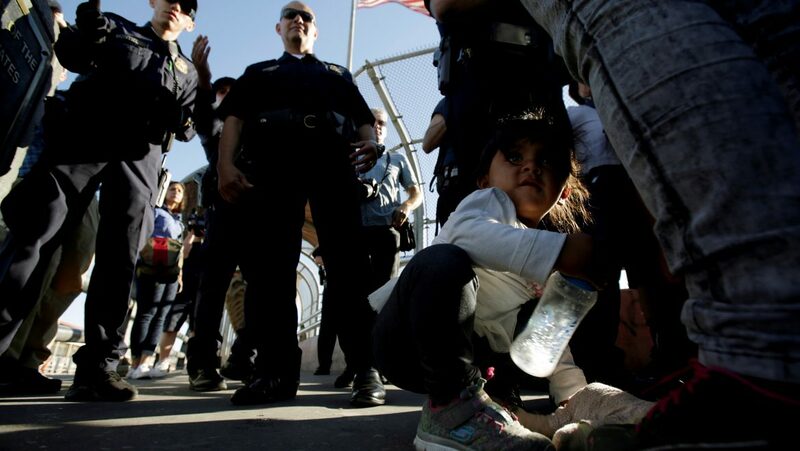 They have tried separating parents from children to deter Central American asylum seekers from coming to the United States. In a less visible, but equally appalling move, Sessions has rewritten well-established case law to eliminate the types of asylum claims brought by Central Americans. Sessions and the rest of the Trump administration cannot run roughshod over the Constitution and US laws to please the president. They must enforce US asylum law in ways that are consistent, and not arbitrary, and match the objectives of this humanitarian law. Overall the number of people crossing the US border has been declining for more than a decade. One way to measure how many people cross the border unlawfully is to look at how many are caught along the US border and in the United States. While this number has remained low, primarily due to a decrease in the number of people coming from Mexico, immigration from Central America has been on the rise. In fiscal year 2010, for example, Central Americans from El Salvador, Guatemala and Honduras represented about 10 percent of total apprehensions. By FY 2016, migrants from these same countries represented roughly 42 percent of those seized. Many more of the Central Americans coming to the United States are unaccompanied children and families, and most of these women and children are fleeing violence and entering the United States to apply for asylum. Although protected categories like race and religion are broad, courts have been unwilling to recognise other broad categories, like women or children, as social groups. Instead, they require a case-by-case analysis to determine whether a proposed group has members who share socially distinct immutable or fundamental traits. Asylum law extends protections not only to people targeted by governments, but also to people targeted by non-state actors that a government cannot or will not control. Central American asylum claims usually involve non-state actors like family members, who target their victims unchecked due to norms that condone spousal or family violence, as well as gang members, who target youth and families forced to live in their territories and outside the protection of the state. Central American asylum seekers at the border will feel the impact of the attorney general’s decision immediately. In the decision’s very first footnote, Sessions essentially gives the Department of Homeland Security (DHS) permission to deny the types of asylum claims typically brought by Central Americans.